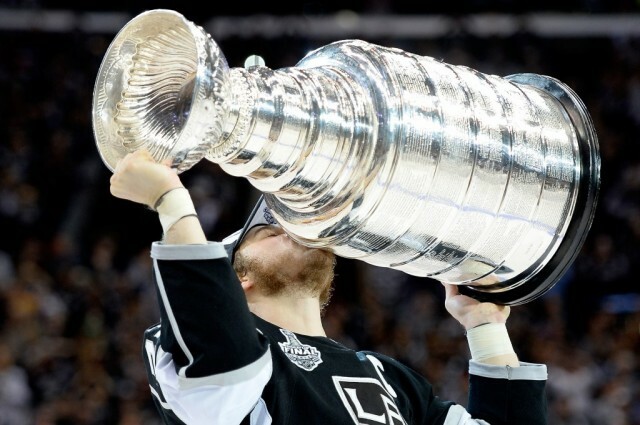 With the National Hockey League about to drop the puck on the 2014-2015 season, we can’t help but fast forward seven months or so and try to envision which team could be lifting Lord Stanley’s Cup to the heavens after the playoffs have concluded. While all 30 franchises have high hopes for the upcoming campaign, some have a much more realistic chance at a championship than others. With that said, we turn to the latest Bovada odds to see which clubs are the favorites to win the 2015 Stanley Cup. Will the Kings repeat? Will a perennial power prevail? Here are the six most likely teams to win the Cup, counting down to the team with the very best odds. 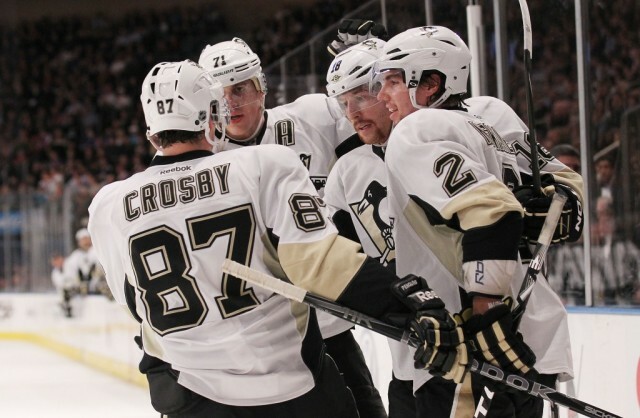 As long as the Penguins have Sidney Crosby, the reigning league MVP, they’re always going to be among the favorites to win the NHL championship. Pittsburgh is anticipating a ninth straight trip to the postseason (having bowed out in the second round this past May), but will be following a new coach to get there. Mike Johnston is beginning his first year as an NHL head coach, and he’ll have high expectations to live up to with the talent on the Pens’ roster. 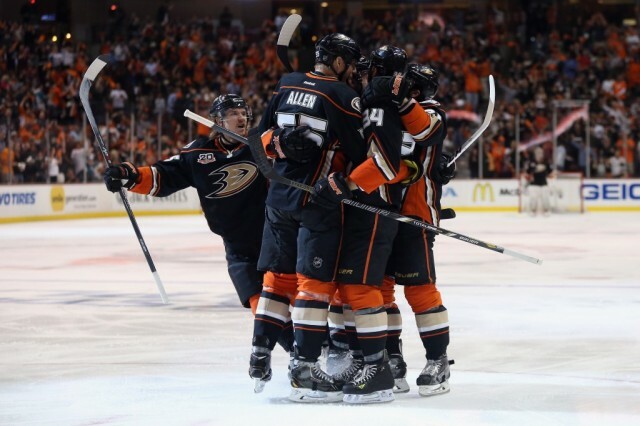 The Ducks finished with the most points of any team in the Western Conference a season ago before bowing out to the eventual champion Kings in the playoffs. Anaheim continues to look for its first Stanley Cup since 2007, and added center Ryan Kesler via trade in the offseason to help accomplish that goal. Kesler joining Anaheim captain Ryan Getzlaf in the middle means the Ducks should boast a formidable first and second line center combo. Claude Julien’s Bruins have qualified for the playoffs in each of his seven seasons in charge — including a Stanley Cup in 2011 — and that success is expected to continue in 2014-2015. 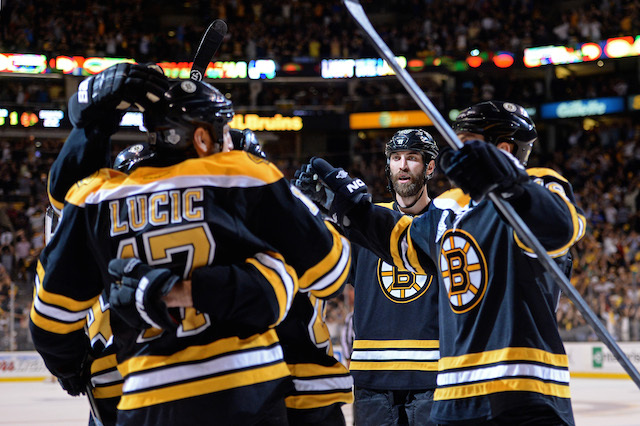 Boston will have to make up for the absence of Jarome Iginla, who scored 30 goals a year ago, but the Bruins should be deep enough to overcome the loss of Iginla and once again make a run in May (or perhaps June). The Detroit Red Wings were the last team to repeat as Stanley Cup champions, accomplishing the feat in 1997 and 1998. 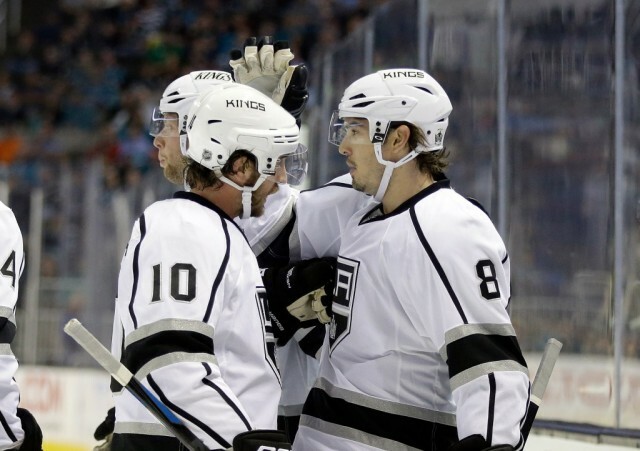 The L.A. Kings will attempt to change that this season. Outside of defenseman Willie Mitchell, the Kings kept their core largely intact for a second consecutive run at hockey’s biggest prize. If Los Angeles can claim the trophy again, it would be the club’s third in four years. Having Jonathan Quick’s big-game experience in net gives coach Darryl Sutter a reliable goaltender to lean on through the grind of the season (and, of course, postseason). 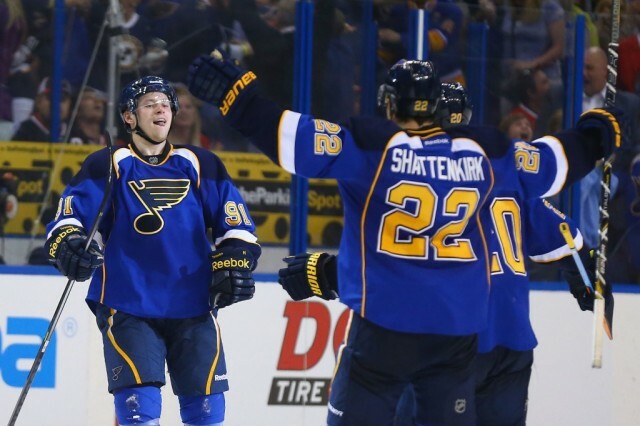 The Blackhawks will have their work cut out for them, playing in a loaded Western Conference, but Chicago is still the oddsmakers’ favorite to win the 2015 Stanley Cup at 13-2. With Patrick Kane and Jonathan Toews on the ice, Chicago has a chance to win every single night. 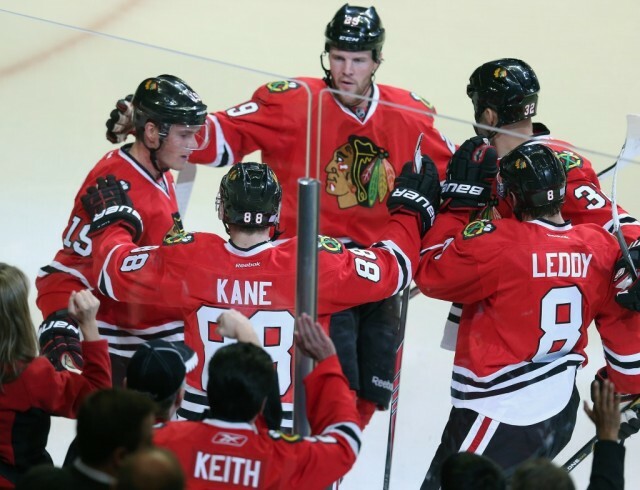 The Blackhawks are seeking their seventh consecutive postseason appearance and third Stanley Cup in six seasons. The first part of that equation is a near certainty. The second? Well, right now Chicago has as good a chance — better, if you believe Vegas — than any of its competitors.